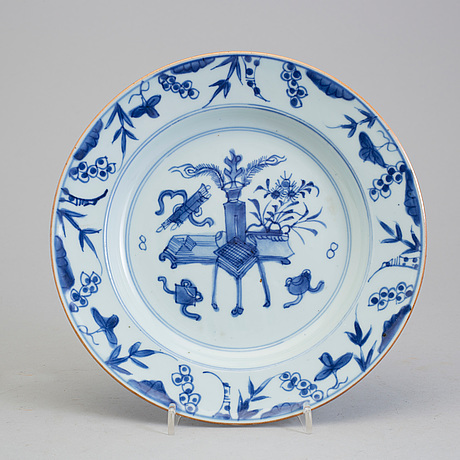 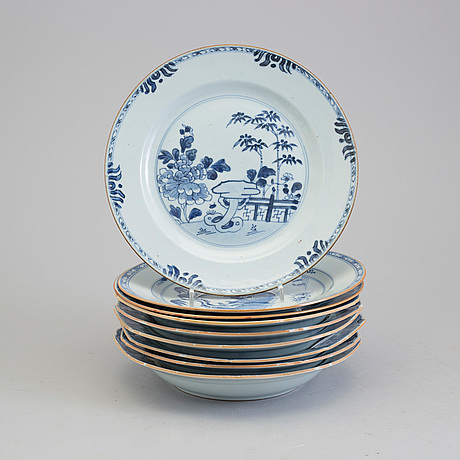 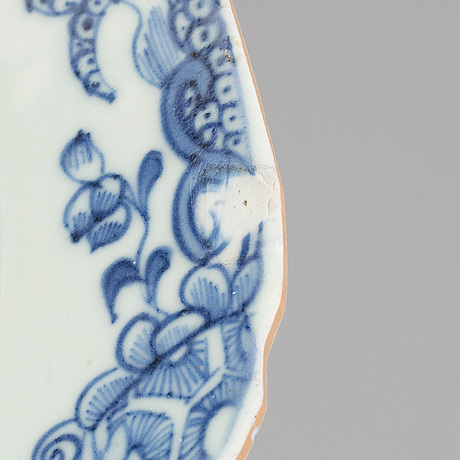 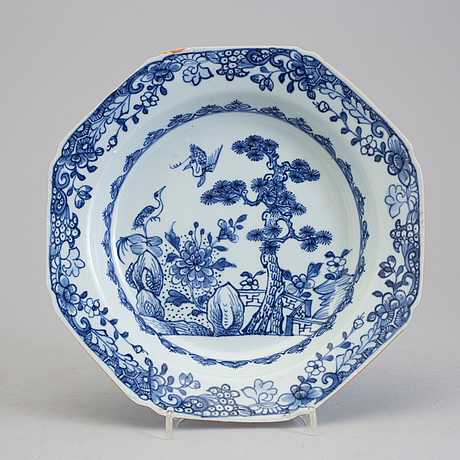 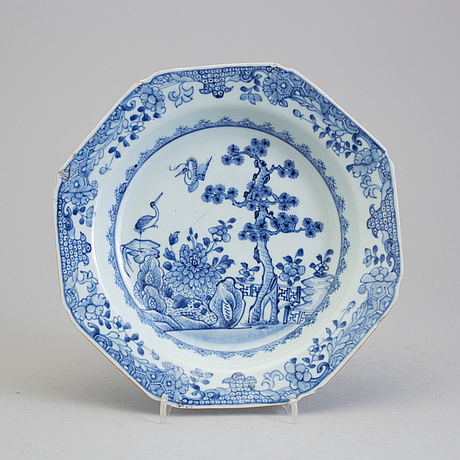 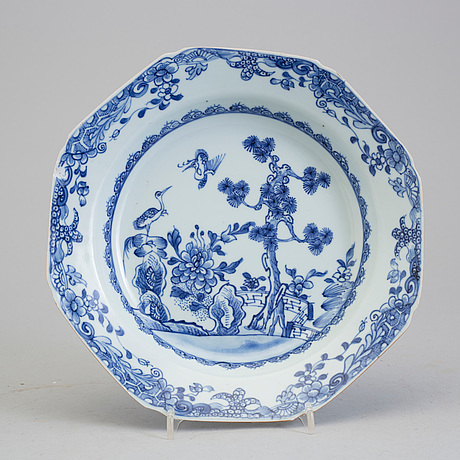 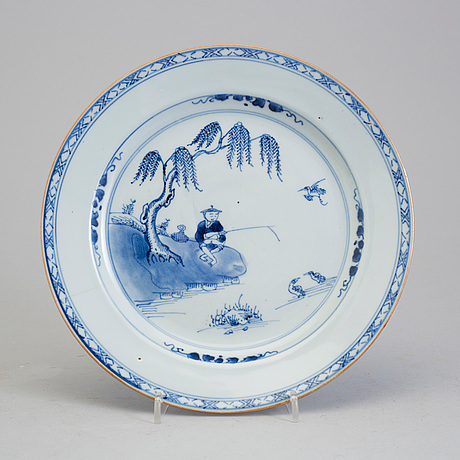 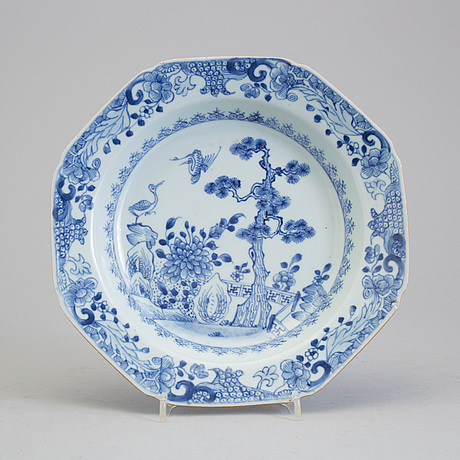 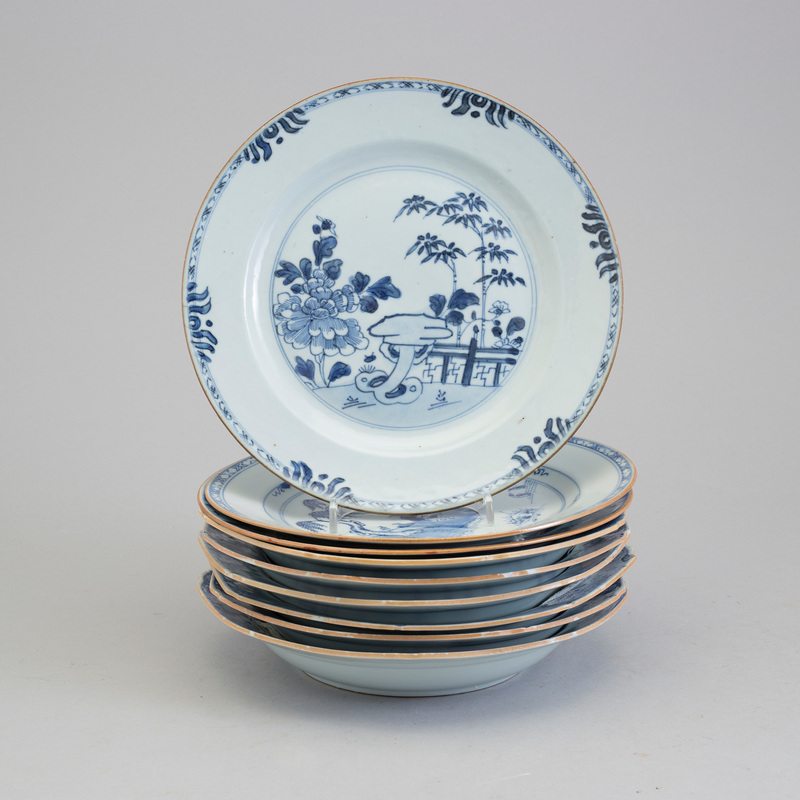 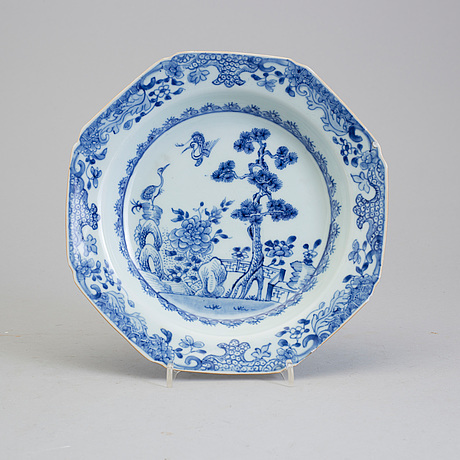 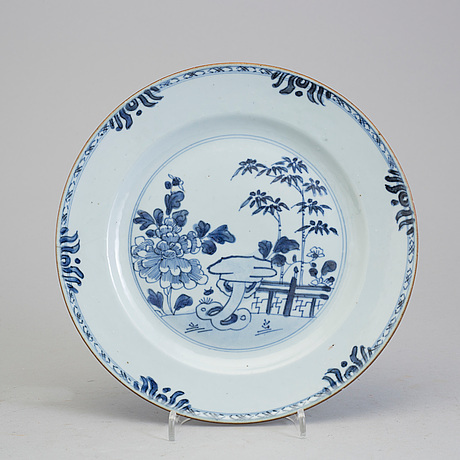 A set of nine odd blue and white plates, Qing dynasty, Qianlong (1736-95). 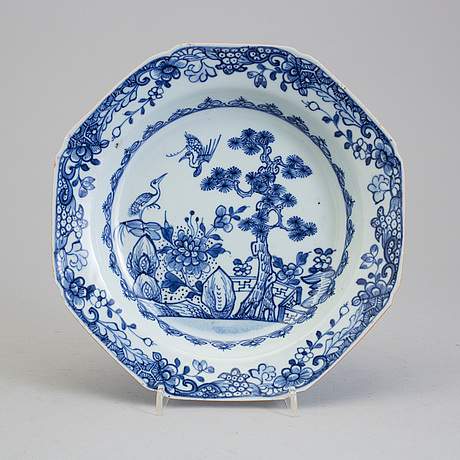 Decorated with flowers and gardenscenes. 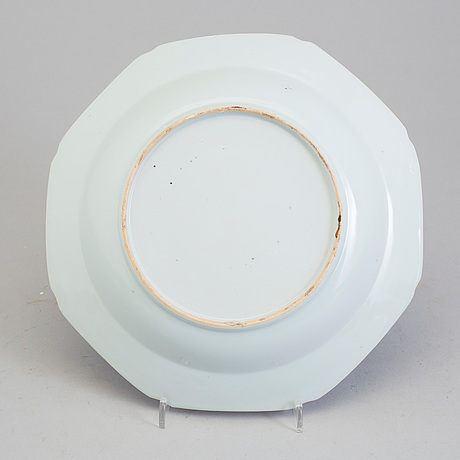 Diameter 22,5-23 cm.